Obituary for Geraldine "Gerri" J. (Schmidt) Weber | McCombs Funeral Home Inc.
Geraldine J. 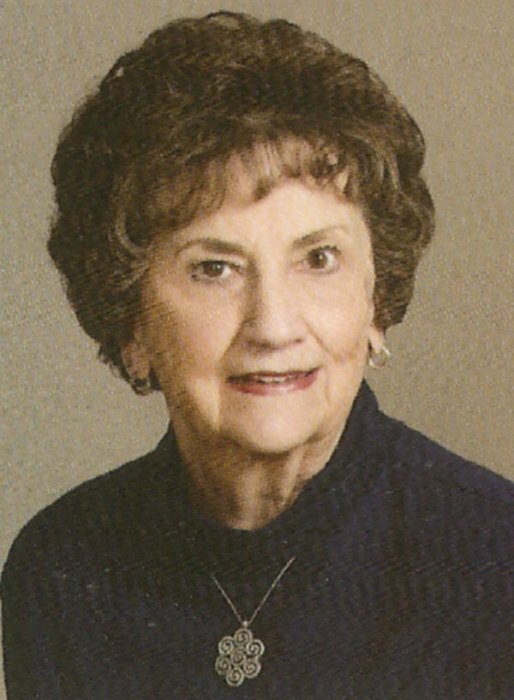 “Gerri” Weber, 79, of Jackson, passed away Saturday, March 16, 2019, at Saint Francis Medical Center in Cape Girardeau. She was born September 12, 1939, in Altenburg, Missouri, to Arnold and Esther Lohmann Schmidt. She and Oscar D. Weber were married June 8, 1963, at St. Paul Lutheran Church in Jackson. Three daughters were born to their union and they had been married nearly 28 years when Oscar passed away February 1, 1991. Gerri was a 1957 graduate of Perryville High School. She worked 31 years at Famous Barr and Macy’s, retiring in 2010. She had been a member of St. Paul Lutheran Church since her marriage and was a former member of Trinity Lutheran Church in Altenburg. Gerri was a loving and devoted wife, mother, grandma, and sister. She was an avid fan of St. Louis Cardinals Baseball. Loving survivors include three daughters, Tracy (Tom) Sprandel and Tina Weber, both of Jackson, and Tonya (Jeff) Quigley of Benton, Missouri; three grandchildren, Ryan (Mackenzie) Sprandel of Jackson, Logan (Maci) Sprandel of Knoxville, Tennessee, and Preston Mapes of Benton; and two siblings, Allan “Bud” (Connie) Schmidt and Stanley (Sharon) Schmidt, both of Cape Girardeau. She was preceded in death by her husband, Oscar; her parents; and a sister, Judi Francis. Visitation is from 4 to 7 p.m., Tuesday, March 19, 2019, at McCombs Funeral Home and Cremation Center in Jackson, and from 9:30 a.m. to service time, Wednesday, March 20, 2019, at St. Paul Lutheran Church in Jackson. The funeral is at 10:30 a.m., Wednesday, March 20, 2019, at the church, with the Rev. Joshua Schmidt officiating. Burial will follow at Russell Heights Cemetery in Jackson. Memorials may take the form of contributions to St. Paul Lutheran Church or Saxony Lutheran High School.